Naples Airhead Tech Daze: Airhead Teamwork! 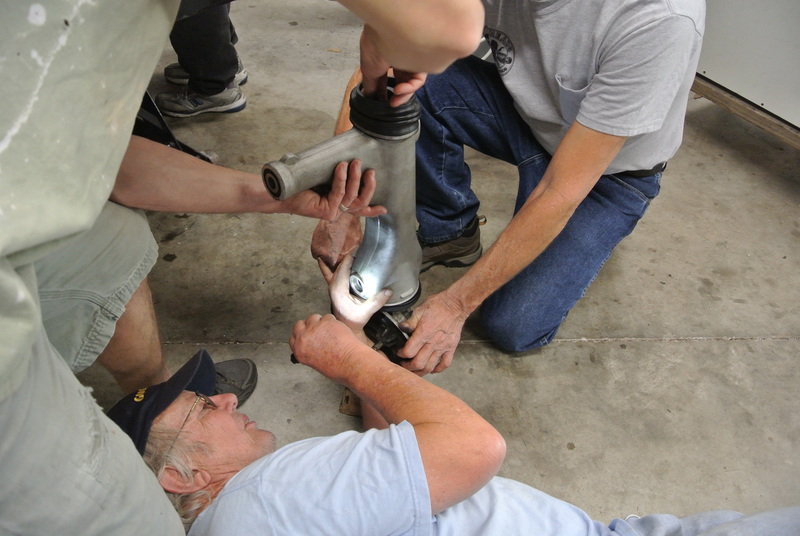 Yup, the nasty and often prolonged job of inserting a paralever driveshaft into the final drive… Done in less than a minute with three airheads managing the individual bits. Couple of airheads on R90Ss went for a test ride, the HOT wire to the starter shorted to the starter housing and a great deal of sacred smoke was released. 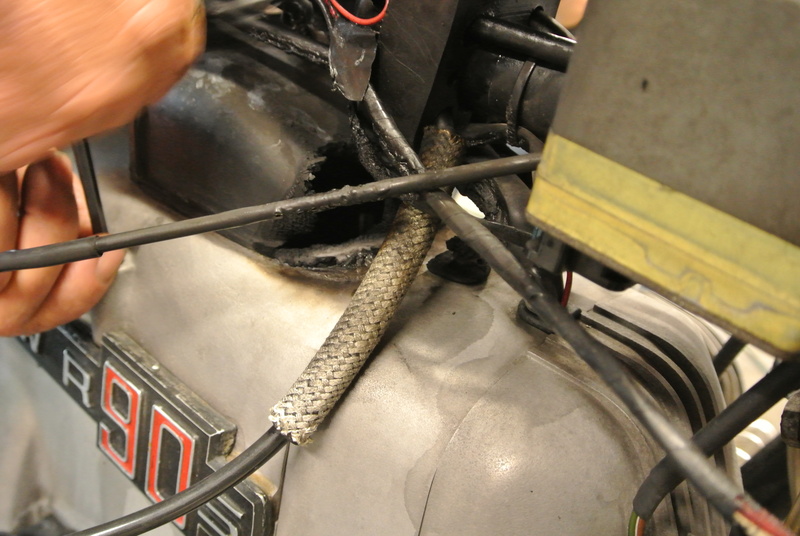 Following Airhead rider quickly removed the battery cable and the source of the fire. The scorched R90S w promptly repaired and is back on the road!